This is the recipe of my Aunt Anna’s Apple Pie, Torta di Mele di mia zia Anna [TOHR-tah dee MEH-leh dee MEE-ah TSEE-ah Annah]. 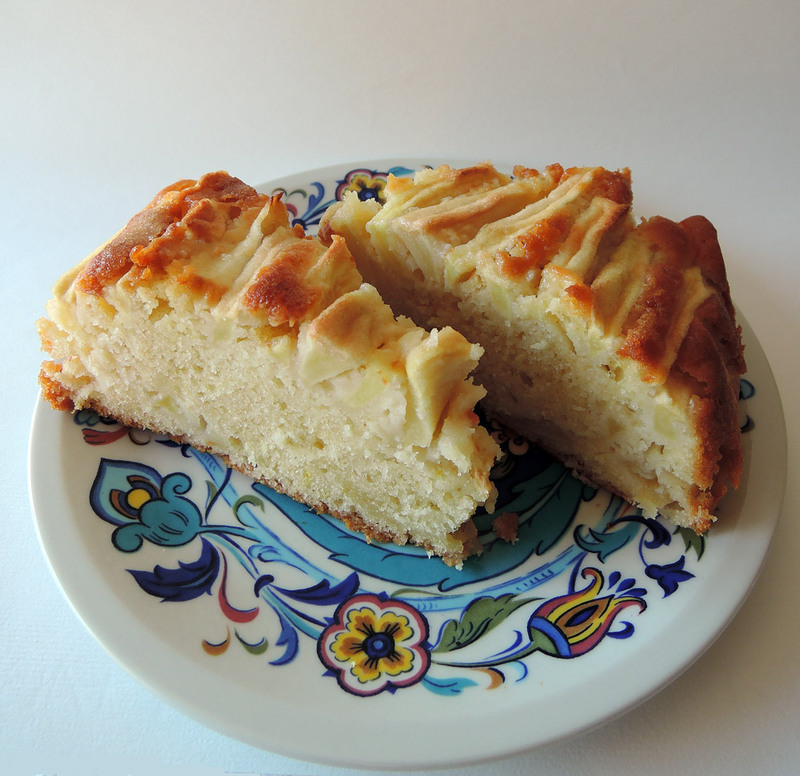 I am very fond of this cake because my eldest brother , Maurizio, told me this is the same cake my grandmother always made for him when he was little. Therefore this is his favourite cake. After nonna died, my aunt continued the tradition. She still makes it and, of course, hers it’s always better than mine. Perhaps there is some trick that she decided not to reveal me when she gave me the recipe. By the way this is also the favourite cake of my husband. There must be a thing between men and apple cakes! 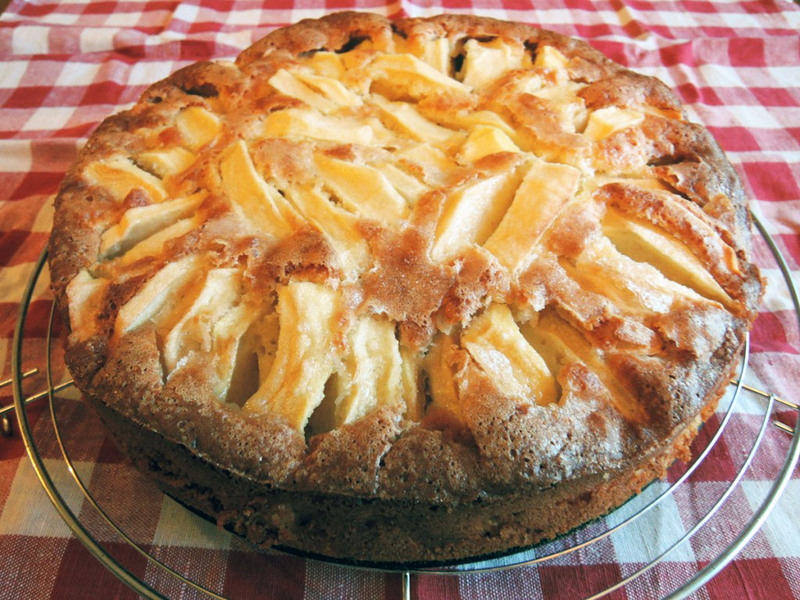 Anyway, if you want to try an Apple pie Italian Style here is the recipe! 1 kg of apples (to peel). I use the golden delicious apples, so juicy! Preheat the oven to 150°C (302°F). Beat the egg whites with a pinch of salt (salt facilitates the process) until stiff, then put aside. Wheap the yolks with the 180 g of sugar until the mixture becomes pale yellow. Grate the lemon and add the zests to the mixture of yolks and sugar. Add milk and oil too and stir. At this point, sift the flour and the baking powder, mix them and add them to the mixture too. At last add gently the egg whites, stirring the mixture from the bottom upwards. Pour the mixture on a buttered baking pan ( or lined with parchment paper). Peel the apples, cut into slices and cover the top of the cake with them. Sprinkle the 70g of sugar over the apples. Put the cake in the oven for 1 hour. Soon a wonderful scent will spread all over your house. Well, I don’t know your house, but surely in mine, because I live in a rather small apartment. This cake is soft in the centre, but it has a crispy crust. The lemon zests give it an extra touch in taste. And now I’d like to eat a slice… I guess I’ll have to make it as soon as possible! Buon appetito! [bwohn ahp-peh-TEE-toh] Enjoy!